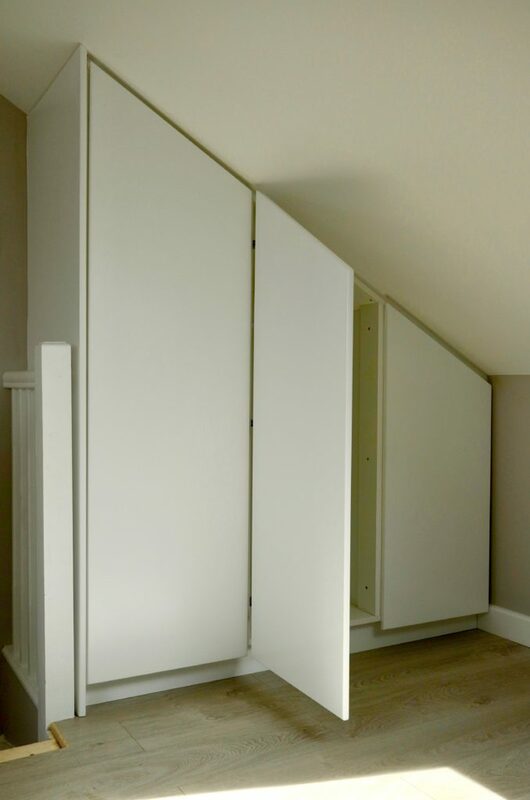 Again, this project was to create some elegant fitted bedroom furniture for a newly built loft extension. 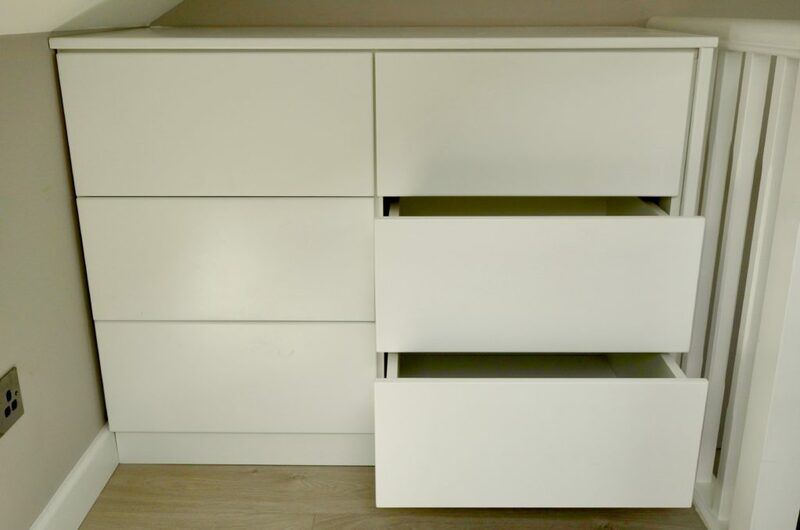 A loft extension can add valuable space to a small property, but finding the best solutions for storage in unusual shaped spaces requires some careful consideration. I was very pleased with the results pictured here. As you can see, the work comprises a 6 drawer chest and a 3 door wardrobe. The furniture is all spray-finished at the paint-shop, with a great looking white satin finish. The final touch includes soft-close mechanisms on all doors and drawers.